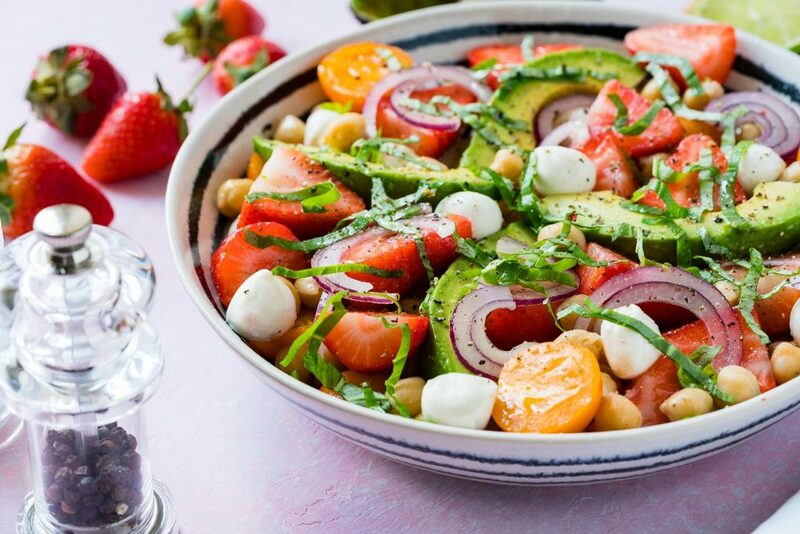 In a small bowl, whisk balsamic vinegar, with honey, olive oil, salt and pepper. 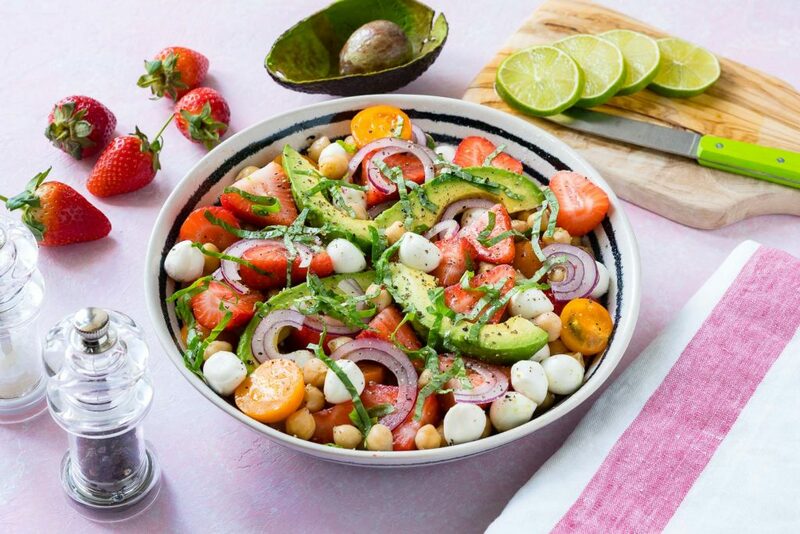 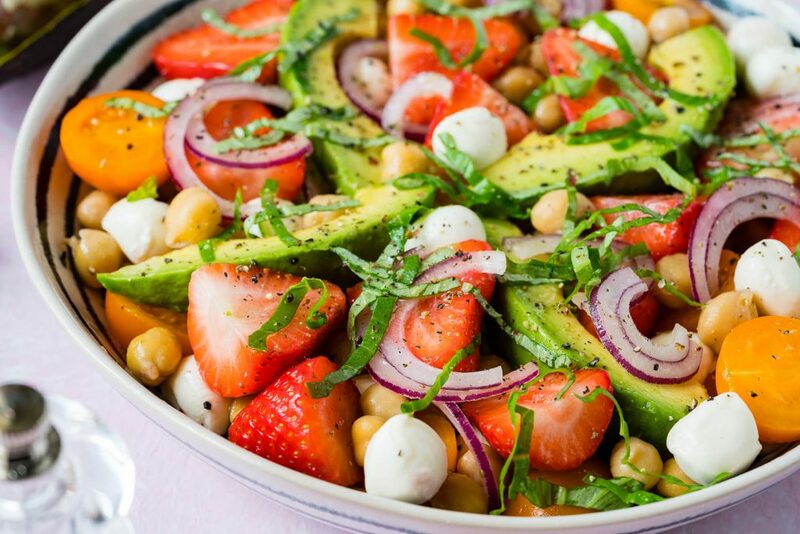 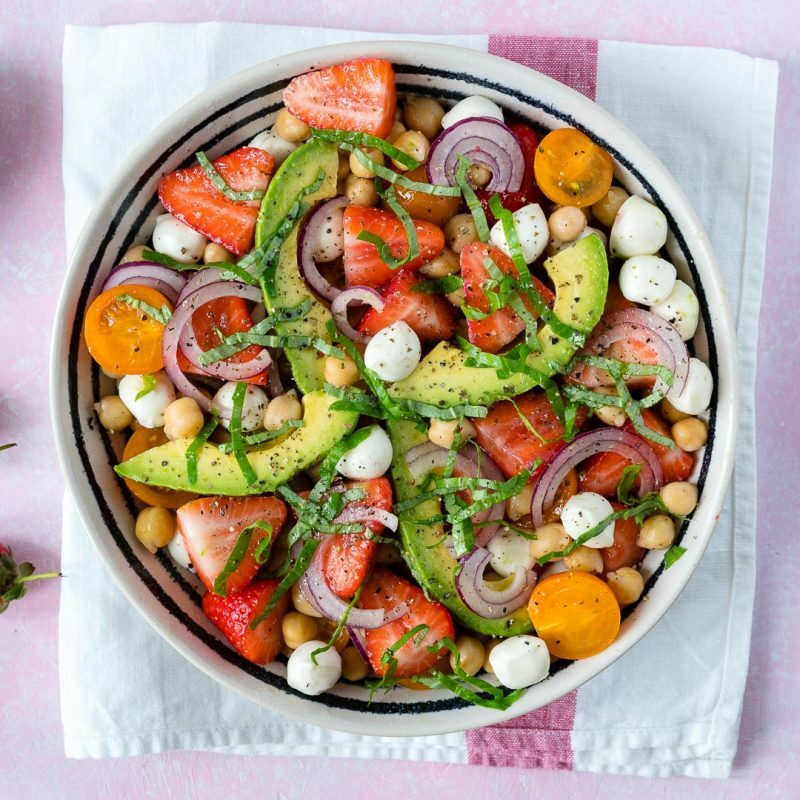 Gently place the strawberries, tomatoes, mozzarella, avocado, chickpeas, onion, and basil in a large glass bowl. 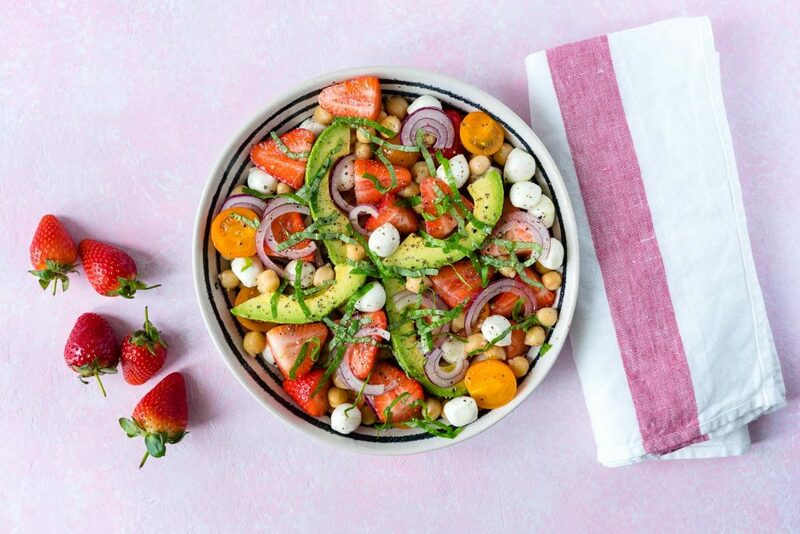 Drizzle with the balsamic dressing and gently toss.